KPFK’s producer Dedon Kamathi and WBAIX.org news director Don DeBar discuss the situation in Libya and the failure of “progressive” media in the US to cover it honestly. Recorded August 27, 2011. Don DeBar spoke to Russia Today Thursday evening (25 Aug 2011) about the Qatari military’s failed attempt to occupy Tripoli for NATO and the theft underway of Libya’s money, which is to be handed over to Mustafa Jalil, NATO’s puppet leader of the NTC. Interview with New York journalist Don DeBar, on RT.com, 23 Aug 2011. 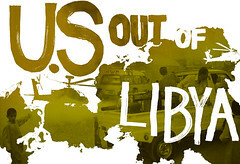 Is Tripoli Obama’s Bay of Pigs? But this entire war, people have to think about this fact: the United States has been funding this and conducting the bulk of the military operations here and anyone on the ground, anywhere where the United States has their guns pointed, including Tehran that takes comfort on the fact that the United States is about to achieve a military victory in Libya should really reconsider that position and think about what is the next step going to be for this type of policy which, believe me, has a map. They expressed Tehran as a destination now for the last 20 to 25 years. So I would be mostly concerned about what does this mean for the people that these guns are being pointed at next and I would question every report you are hearing out of Tripoli right now that says that they are in charge because they have been saying it for days before there was anyone there. The last point is that the reports that we got were that the people that had come into Tripoli from the outside with arms were actually Qataris and they have been in there with their own commanders running this operation and I am told that there are many dead Qataris on the ground in Tripoli. This entry was posted in Africa, All Posts News Politics and-or Videos, Dandelion Salad Videos, Death-destruction, Democrats, Media, Mercenaries, Military, NATO, Politics, War and tagged DeBar-Don, Dedon Kamathi, Fitrakis-Bob, Gaddafi-Muammar, Libya, Libya on Dandelion Salad, Meet the new boss the same as the old boss, Qatar. Bookmark the permalink.